Very sad. Among other things going on right now that shouldn't be. A true talent. He will be missed. i had heard of these casualties but did not know it was the director of restrepo. amazing film. i can't comprehend all that is happening in the world right now. this may be sort of ignorant, but was any of the seeming domino of civil unrest tipped by the wikileaks incident? it seemed this wave sort of took off right after all of that data was released. school/work make it so i only half hear everything. maybe this is already being discussed? 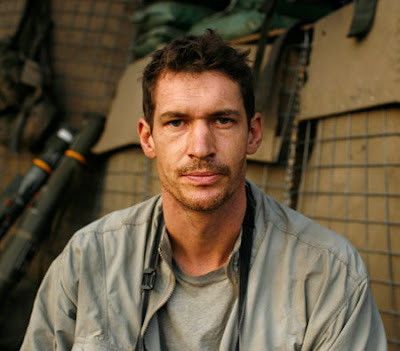 if you havent seen restrepo, watch it! Hetherington was a true talent. support out troops, but bring them home. These people are special people, to lose just one is a loss for us all. My heart goes out to his family and colleagues. See Alan Huffman's poignant write up of Tim.